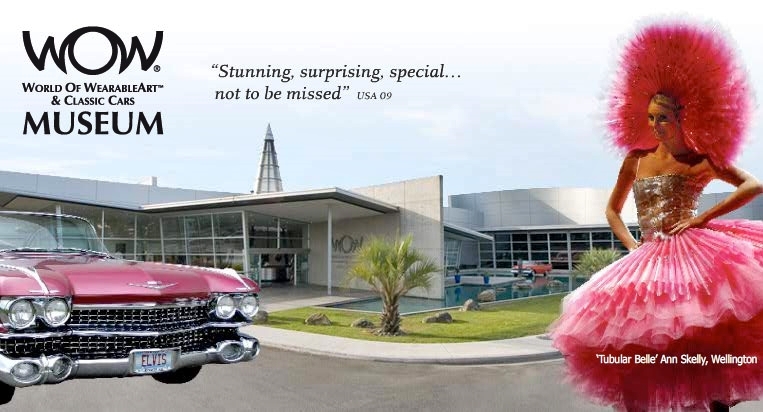 In October 2001 one of WOW®’s dreams came true with the opening of a permanent home and visitor attraction World of WearableArt™ and Classic Cars Museum, which every year welcomes thousands of local, national and international visitors. This unique visitor attraction means people can enjoy the special WOW® experience all year round. The car collection represent years of passionate sourcing from around the world and New Zealand. This is one of Australasia’s largest private collections. We recommend 60-90 mins to view galleries.